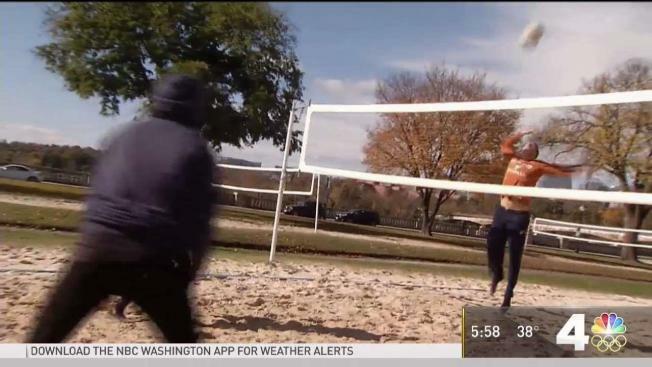 The National Park Service wants to introduce new rules that could make it harder to play sports on the National Mall. Starting next year, teams may have to pay as much as $70 for just two hours of play. Organized sports teams -- from volleyball to frisbee to kickball -- have played on the Mall for years for a little as $7 per season. The NPS also wants to change the way permits are issued and where teams can play. One of the off-limit zones for sports may be near the Washington Monument. Some local volleyball players are sympathetic. “Honestly, the Park Service has been defunded by Congress over the past 10 years, and they have to make up for the wear and tear we all do to park facilities and National Parks,” said player Gabriela Vega-Kock. The NPS has also proposed increasing entrance fees for 17 national parks, including Shenandoah National Park and the Grand Canyon. Earlier this year they introduced parking meters around the National Mall, where parking used to be free.